Erik was born in Berwick, Nova Scotia, a gentle lad to Vanda and Agris. His Latvian grand-mother affectionately referred to him as “Erikin”. He was a loving big brother to sister Karen and as a teen he loved canoeing, camping, and excelled in soccer. He studied music he picked guitar and trumpet as his instruments. After high school in Ottawa, he signed up at Ryerson University in Toronto to earn a Bachelor of Arts in Photography. He had a singular talent for subtle effects, originality, and composition. Black and white photography was his specialty. After university he headed West. Armed with his photographic equipment and a guitar, he strapped an iconic cedar canoe on top of a car and meandered his way across Canada and made memorable stops in Alberta and BC where he heard that the Yukon was worth the detour. At age twenty-five he landed in the territory and made it his home; rumors about the area proved true… the rivers, the peaks, the wilderness, the vibrant community with its art scene, all as promised. 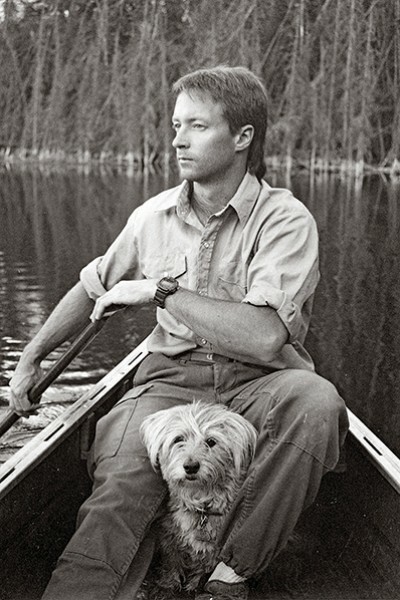 In the Yukon, Erik wrote songs and joined musical groups, exhibited his photography, and paddle rivers and lakes, climbed mountains, and eventually explored the skies para-gliding. He freelanced as photographer for advertising firms and newspapers, worked at a fish farm and as a canoe guide, taught first aid and ski patrolled. When parenthood was on the horizon, he added carpentry to his expertise and started a home radon detection service. When daughter Canyon was born to Josie and Erik almost twelve years ago, he took on fatherhood with great joy. She was the sun he orbited around and together they explored, shared songs, celebrated, laughed, talked, and contemplated. No encounter with Erik went without him mentioning this little lady. In February Erik was diagnosed with cancer and accepted this with serenity and dignity. In the past few years he studied Eastern mysticism and practiced meditation which saw him through his illness and helped him live life on his own terms ’til the very last moment. He went in peace. Erik will be remembered for his kindness and honesty, his unconditional love and willingness to see the good in everyone and everything; he gave everyone a chance. Always up for anything, Erik was a man for all seasons. Erik is survived by his cherished daughter Canyon, parents Vandadling the and Agris, sister Karen and her three children, and several cousins. We particularly want to thank his close friends and wonderful neighbors, you have been pillars of support that we will forever cherish. Thank you Dr. Johanna Rockenstein for making yourself always caring and available, and the warm help from Yukon Home Care staff. There will be a celebration of life for Erik this summer, an announcement will be posted once the date is determined.